January 30, 2018, 4:45 am: The alarm clock rings. I get up, pack the last things, warm clothes, hat and gloves, eat breakfast and set off for the station. With the first S-Bahn at 5:37 I reach the main station. From there, take the EC towards Venice. Shortly after the longest tunnel in the world I reach Bellizona. I take the S-Bahn back to Biasca. 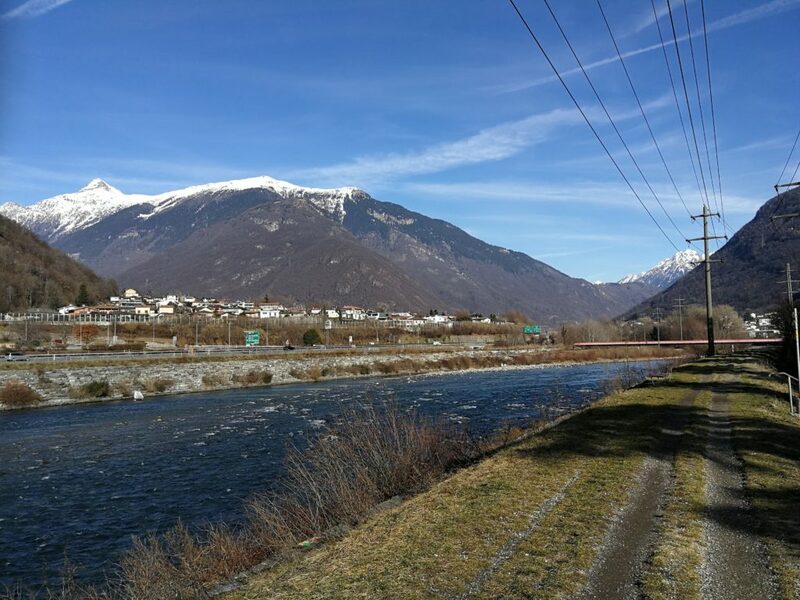 Warmly dressed — it is only just over zero degrees Celsius — I set out from the village to the river Ticino. The path leads down the valley along the Ticino. 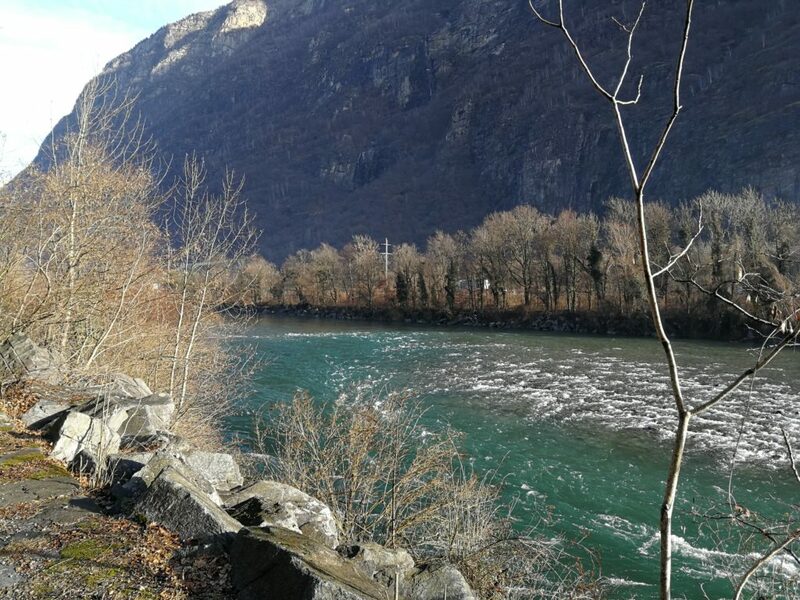 Only in Bellinzona does the trail leave the river again. 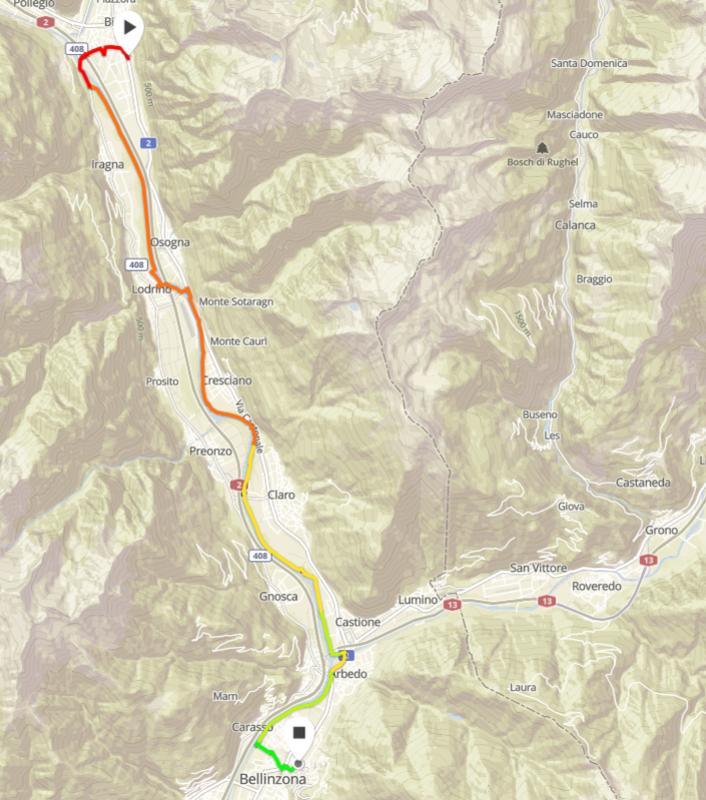 I reach the station in Bellinzona after 25 km and 5 hours hiking time. Because of the rather holding weather and the more than two months break I also feel my muscles despite the rather short distance. I take the next train through the NEAT back to the north and the memory of the nice weather in the south. The path is quite flat and can also be walked by inexperienced people. You can also hike a part of the way.